Pakistan's truckers have been known to spend more money on tricking out their rides than on building their homes, but the gaudy vehicles, which are now an icon of the country's highways, have at least one basis in business logic. 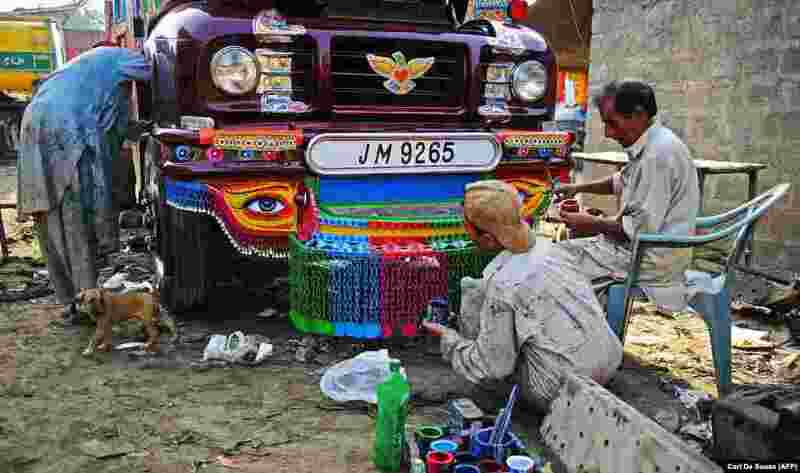 1 Elaborately decorated trucks rumble over even the most isolated roads of Pakistan. 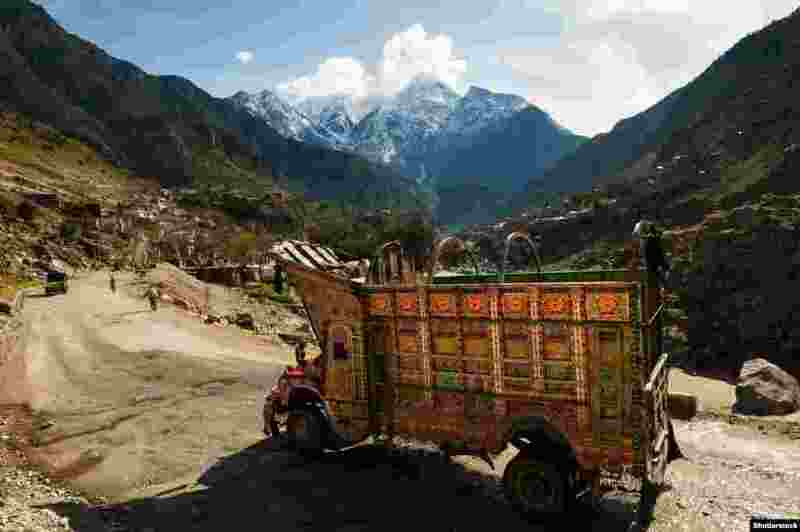 This "jingle truck" is headed down the Karakoram highway. 3 A worker takes the term "hand-painted" to a new level in Noor's workshop. Dangling chains like this are the origin of the nickname "jingle truck" for highly decorated freight vehicles. 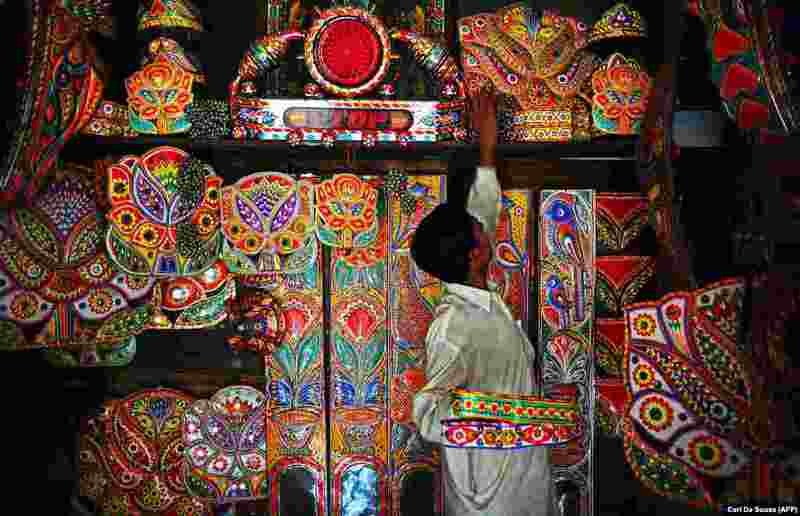 4 Premade decorations for sale in Rawalpindi, where truck decoration is big business.